The Aquila Theatre Company proudly announces the European premiere of its production of William Shakespeare's Twelfth Night. Created and directed by Peter Meineck and Robert Richmond, Twelfth Night features original music by Anthony Cochrane. This production of Twelfth Night spins the classic tale of mistaken identity, unrequited love, bereavement and the repressive threats of a puritanical zealot with an eclectic mix of musical styles – harpsichord and lute meets drum and bass. Complete with cross-dressing and swordplay, this adaptation revisits Shakespeare's Elizabethan comedy, evoking a fantastical world where true love cannot be repressed. Twelfth Night toured to 58 cities on a major US national tour and recently completely a highly successful summer run in New York, including performances at the Lincoln Center Institute. The Aquila Theatre Company creates a modern parallel with Shakespeare's players. 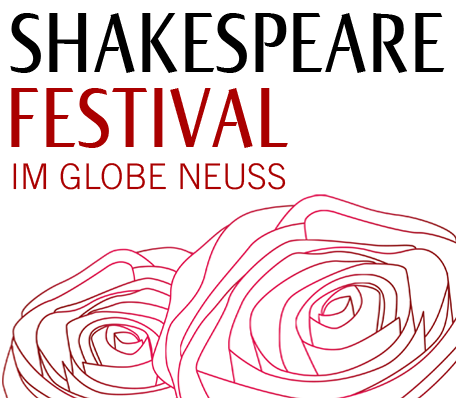 Their dedication to popularizing Shakespeare offers the tight-knit company the ability to forge a deep interpretive relationship with a classical play, an increasingly rare phenomenon in today's fast-moving and often fast-rehearsing theatre. Aquila combines the techniques of British and American theatre--its actors hail from the United Kingdom and the United States--fusing different acting traditions and Shakespearean methodologies into a coherent, highly physical company style. The Aquila Theatre Company's cast includes Robert Richmond as Sir Toby Belch (Aquila's Associate Artistic Director), Kenn Sabberton as Malvolio (Theseus in Aquila's A Midsummer Night's Dream, Edmund in King Lear, the RSC and National Theatre), Natasha Piletich as Olivia (Gertrude in Aquila's Hamlet, Beatrice in Much Ado About Nothing, Adriana in Comedy of Errors), Louis Butelli as Feste (Both Dromios in Aquila's Comedy of Errors, Dogberry in Much Ado About Nothing, Puck in A Midsummer Night's Dream, Kipling in The Man Who Would Be King), Lindsay Rae Taylor as Viola (Luciana in Aquila's Comedy of Errors, Cecily in The Importance of Being Earnest, Miranda in The Tempest), Andrew Schwartz as Orsino (both Antipholus' in Aquila's Comedy of Errors, Hamlet in Hamlet, Dr. Chasuble in The Importance of Being Earnest, Lysander in A Midsummer Night's Dream), Celest Villanueva as Maria (Nell in Aquila's Comedy of Errors), and Steve Stout as Sebastian (Solinus in Aquila's Comedy of Errors) . Twelfth Night is created and directed by Peter Meineck (Artistic Director) and Robert Richmond (Associate Artistic Director), with original music by Anthony Cochrane. The Aquila Theatre Company was founded in London in 1991 by Peter Meineck to present innovative productions of classical drama. In 1999, Aquila moved to New York and has since presented fourteen productions, including Shakespeare's Twelfth Night, Othello, Kipling's The Man Who Would Be King, Aeschylus' Agamemnon (with Olympia Dukakis); Homer's Iliad: Book One; Shakespeare's Much Ado About Nothing, A Midsummer Night's Dream, Comedy of Errors, Julius Caesar, and several performances at Carnegie Hall, and a special performance for the President of the United States at The White House. Aquila's upcoming 2006-2007 touring season will feature Romeo & Juliet and Geoffrey Chaucer's The Canterbury Tales, and will play over 65 venues ranging in size from 300 – 2,000 seats, all across the United States. Next up in New York will be a new production of Homer's Illiad at Classic Stage Company, in the spring of 2007.